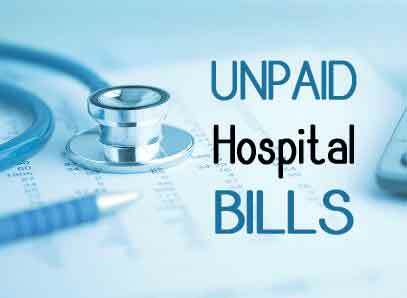 Mumbai: With the rising cost of healthcare, the instances of non-payment of hospitals bills are certainly on the rise. Given the lack of quality/ proper facilities at government hospitals, poor patients turn to private hospitals for care, but then again, with the lack of universal health insurance schemes are many a times unable to afford the treatment out of their own pockets. This situation, faced by majority private hospitals and nursing homes in the country, often leads to an impasse-with the patient not being able to afford the pay, while the hospital stuck in a tricky situation of booking a loss on the form of expenditure on care as well as consumables. More often than not, this has also led to bad publicity for the hospitals with the cry going out that hospitals are detaining patients (even corpses) on account on non payment of bills. Two pleas in this matter was filed with the Bombay High court, asking for a solution to “Illegal Detention” of patients or even corpses, who are allegedly detained by hospitals over non-payment of bills. One petition, filed by Trevor Britto, alleged that Prachin Healthcare Multi-Specialty Hospital at Panvel had refused to discharge an injured bus driver due to non-payment of bills. The other petition was filed by a Santa Cruz resident who had alleged that Seven Hills Hospital in Marol had refused to discharge his brother for not paying dues to the tune of Rs 1.8 lakh. Both hospitals have refuted the allegations reports Asian Age. According to a report in TOI, the court has sought a response from Insurance Regulatory and Development Authority (IRDA) on insurance companies floating a scheme where hospitals can recover unpaid bills. The counsel for Association of Hospitals in Mumbai pointed out that the organisation has already written to IRDA in this regard on 29th September, asking for the possibility of insurance companies floating a scheme whereby the unpaid bills of the hospital can be paid by insurance companies adds the daily.”Hospitals are willing to pay a premium. They must come out with a scheme,” he said. A letter on similar lines has gone to many insurance companies including Oriental insurance, New Indian Assurance and United National Insurance, asking them for a possible solution. The bench observed that this would be beneficial in the light of the fact that large number of persons in India are bereft of mediclaim. “We have a large section of people living below the poverty line. Middle and upper class are in position to pay,” said Justice Kanade. The court said that it would further asked the government to look into the matter. Besides this, the court was also informed that the government proposes to constitute a grievance redressal mechanism so that a patient who is detained can complaint to it and likewise, even to hospitals, if bills are not paid. “In our view, considerable progress has been made for redressal of this issue,” said the bench. A Notice has been sent to the IRDA in this regard with the insurance regulator now being made party to the case. Hopeful that the IRDA and insurance companies will respond to the association’s plea, the bench has posted the matter for October 20th.